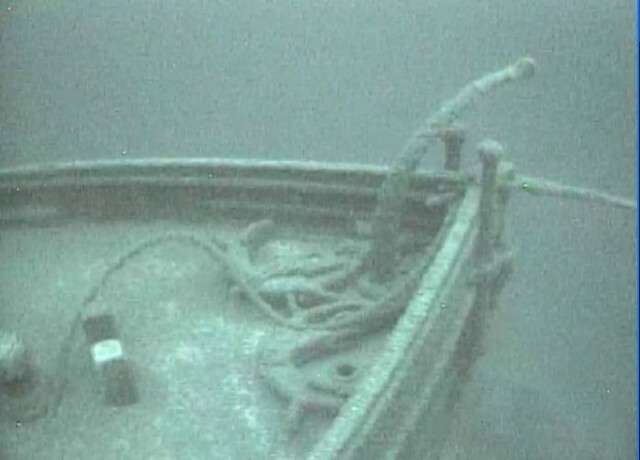 Michigan Shipwreck Research Association discovered the wreck of the steamship John V. Moran, lost off Muskegon, Michigan, in 1899. 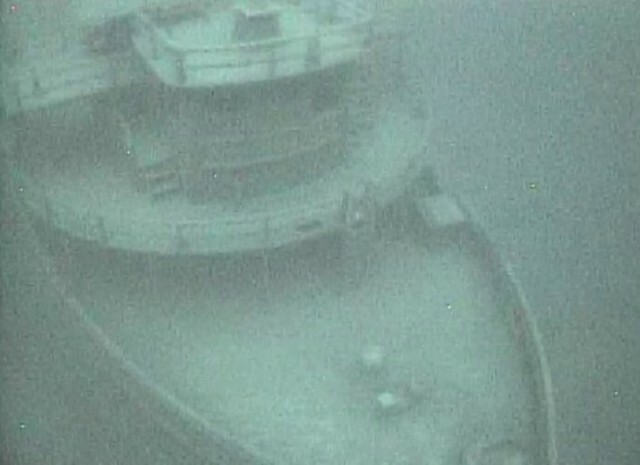 Remote video and technical dives show it to be the most intact steamship wreck on the bottom of Lake Michigan, if not all of the Great Lakes. Around midnight on Thursday February 9, 1899, on an ice-caked Lake Michigan, the 214-foot John V. Moran bucked the ice flows on its run from Milwaukee to Muskegon to deliver a cargo of barreled flour and package goods. The ship was only 11 years old and had been running between Milwaukee, Grand Haven, and Muskegon regularly for several years. It had an iron-reinforced hull for winter transit, but the conditions were too much for the steamer. Ice stove in a hole in the hull, and water began pouring in. Captain McLeod jettisoned much of the cargo to lighten the load and try to keep the ship afloat, but it began slipping beneath the ice. He and his 24-man crew faced a potentially deadly decision: stay on their steamer and await potential rescue, or take to the ice and try to reach the safety of the steamer Naomi three miles away. They chose the latter, blowing the distress whistle to alert the other ship. Dragging a lifeboat across the ice, three crewmen set off walking toward the other steamer with only the beams from their lanterns to illuminate their path. 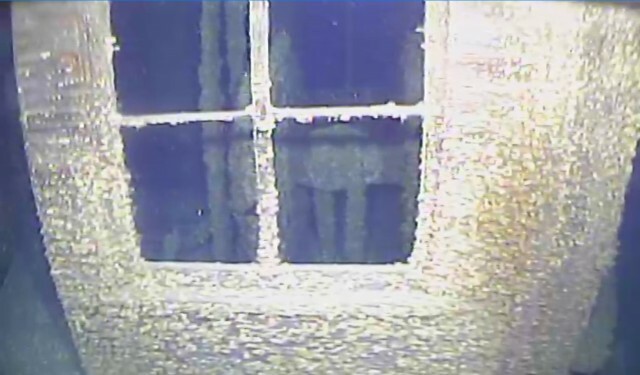 Crew on the Naomi saw the lights and the ship plowed through the frozen lake to reach them. 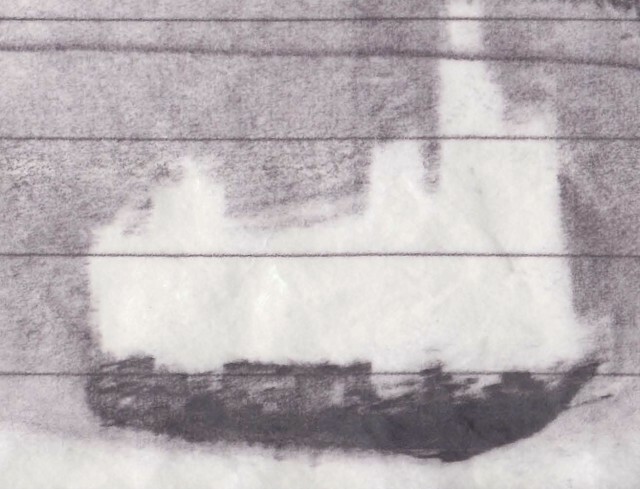 As the Naomi drew near the stricken ship, the remaining 22 men carefully crossed the ice to climb aboard. At dawn Friday morning, the Moran was still afloat. The Naomi returned and took the stricken vessel in tow and pulled it some ways toward Muskegon, but it became clear the Moran would not make it the entire 15 miles. On Saturday morning, the crew traversed the ice back to the Moran and began offloading everything valuable aboard, leaving the Moran to its fate. They reached Grand Haven late that night with everyone safely aboard. 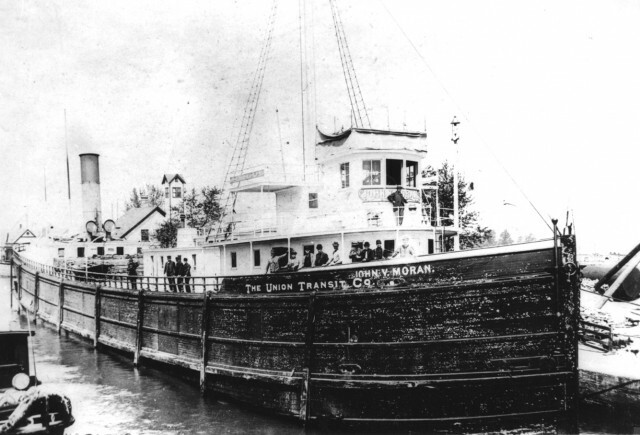 Captain Thompson of the carferry Muskegon, running the same route the Lake Express does today, was the last to see the Moran. It was still afloat Sunday when he passed on his way to Milwaukee, but sank sometime thereafter. The ship was not seen again for 116 years. 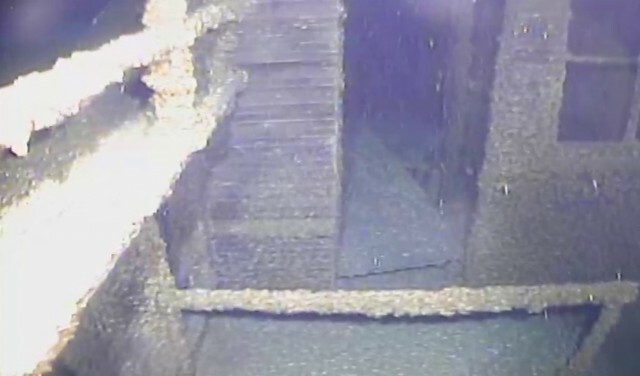 “We wanted to find this ship as evidence of that epic struggle against Mother Nature,” said Valerie van Heest of the Michigan Shipwreck Research Association (MSRA), an author, and museum exhibit designer, who managed the search operation. Her organization has previously discovered 15 historic shipwrecks. “Although the newspaper accounts from 1899 were sketchy, we were able to narrow down the search area to about 10 square miles through our research,” she reported. 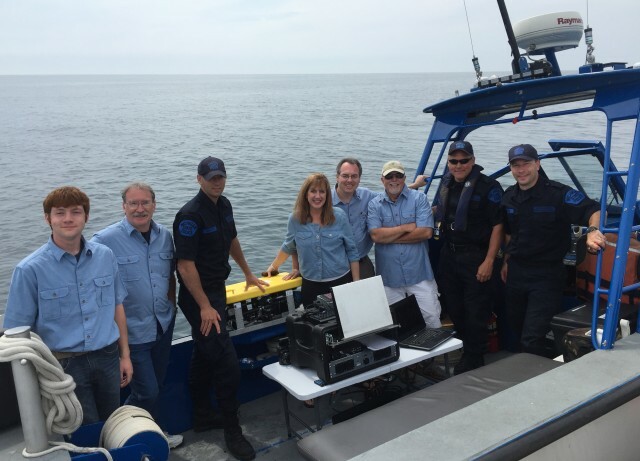 MSRA conducts its expeditions with funding from its members and private donations and utilizes the services of side-scan sonar operator David Trotter from Canton, Michigan, an explorer who has found over 90 shipwrecks in his 40-year career. 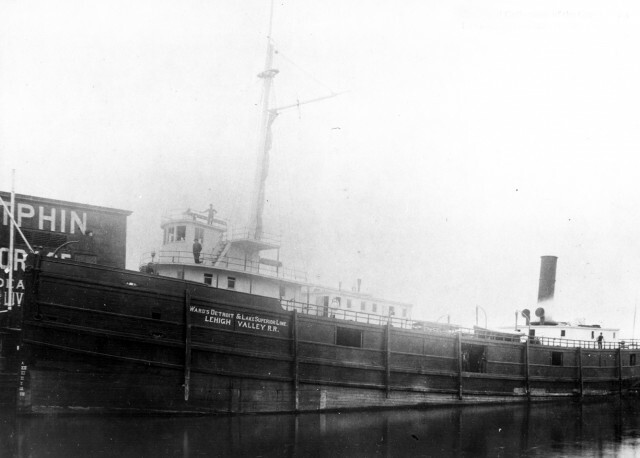 Launched 127 years ago, in Bay City, Michigan, by Frank W. Wheeler & Co., the John V. Moran worked throughout the Great Lakes under three owners in its short career. “There was no doubt we were filming the John V. Moran,” said Sgt Lynema of the Michigan State Police, Underwater Recovery Unit. 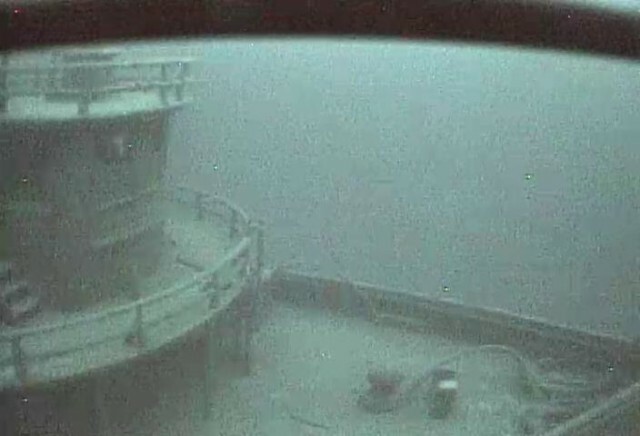 The discovery and documentation efforts on the John V. Moran, as well as other local shipwrecks, is on display in the exhibit “Mysteries Beneath the Waves” at the Michigan Maritime Museum in South Haven, Michigan. When the report reached here early this morning that the steamer John V. Moran had gone down off Muskegon, people could scarcely realize it. The news was authentic, however, and another fine steamer is now at the bottom of Lake Michigan, where she yesterday crushed by the resistless force of the great field of ice that nearly covers Lake Michigan. 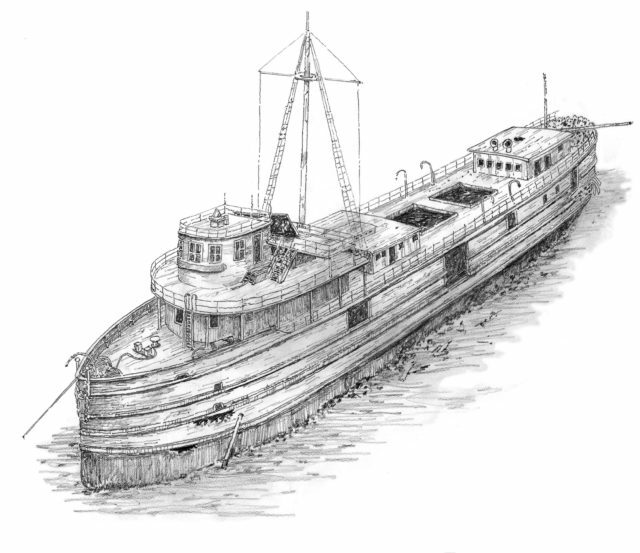 The news of the loss of the Moran came from the Muskegon. The big car ferry arrived there some time this morning, bringing the news of having passed the John V. Moran fifteen miles out in the lake, with her after tails under water and rapidly filling. There was no sign of human life to be seen and Capt. Thompson of the big car ferry telephoned down that he believed the crew had deserted the Moran and made for the steamer Naomi, which could be seen about three miles nearer shore. The car ferry passed the Moran about 6 o’clock at night. There was ice as far as one could see. The news created great excitement in Grand Haven and there is much speculation as to the whereabouts of the crew. Undoubtedly, however, they reached the Naomi. The trip to shore over fifteen miles of ice, and with the temperature thirty below zero, would have made the journey a dangerous one indeed. But Capt. McLeod and his crew probably knew of the whereabouts of the Naomi and put off for that boat when they knew the Moran was doomed. The Moran is believed to have been crushed by the mysterious and strange force, that sometimes moves big ice fields, even when there is no wind, as was the case yesterday. Or from the fact that the after rail was under water, it may be that she knocked a hole in her stern while backing up, preparatory to bucking through the ice. At any rate she was hopelessly wrecked when the car ferry went by. The Moran had on board a large cargo of rolling freight, and no grain. Her cargo was insured. Her loss will nevertheless be a bad blow to the Crosby Transportation Co. They purchased the Moran last fall and put Capt. Hough in command. He was supplanted by Capt McLeod only about a week ago. The Moran was built in West Bay city in 1888. She was a vessel of 1,350 tones, 214 feet long, 37 feet beam and 22 feet depth of hold. She was difficult to handle and had already had more than her share of ill luck. On her first trip, a fire burned her pilothouse at the dock in this city, and she was laid up a week for repairs. She was a good freight carrier and had brought over some immense loads. The loss of the Moran calls to mind the winter of 1885, when the Michigan went down, crushed in much the same way. At that time the Wisconsin, now the Naomi, was also in the ice, and Capt. McGregor’s forethought and sound sense was all that saved her. Capt. McGregor was also out in this ice pack on the Boyce, and so was his old time Wisconsin. No one not a winter navigator or sailor, can fully understand the power of an ice field when in motion. It is simply irresistible and much better and stronger boats than the Moran have succumbed to the grinding, crushing power of the ice floe. All are interested in the welfare of the crew. The night was so cold that no man could stand it on the ice field in such a temperature for very long a time. Several of the crew live here and all are known here. Their safety has been a matter of apprehension from the first news of the disaster. Capt. 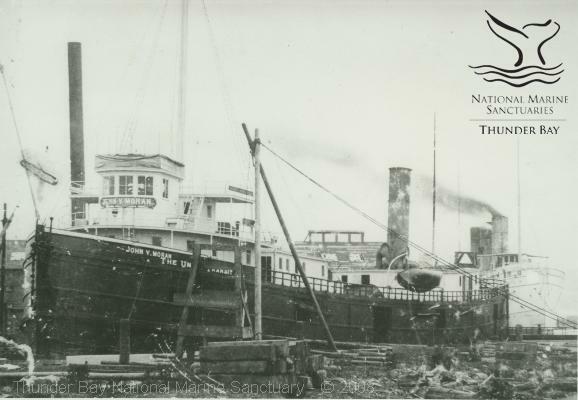 Thompson of the car ferry said in his telephone message that the Boyce and Nyack were met leaving Muskegon for Milwaukee, and had got through the worst part of the field when he met them. Mr. O. M. Field, one of the owners of the Moran, arrived here this noon from Muskegon. He takes the loss of the Moran philosophically. Mr. Field says he believes the Moran sunk within an hour or two after the car ferry passed by. No insurance was carried and the causes that led to the loss of the steamer will not be known until the crew gets in. The Crosby Co. paid $35,000 for the Moran and it will be that much clear loss for them. Grand Haven citizens will greatly regret this serious loss. The Crosby people have been at a great expense in working up this route and have been doing nobly. This severe winter, however, has been a serious drawback and now comes the loss of their vessel Moran. If cold weather continues navigation will probably be suspended. Every one of the many anxious watchers breathed a sigh of relief this afternoon when the tug O. M. Field steamed up to her dock with three members of the crew of the Moran. They were Hans Larson, the second mate, John Kamhout of this city, and Charles Leonard. These men left the Naomi this noon and walked along the ice up to the strip of open water just off the pier, where they were picked up by the tug Field. They brought the glad news of the safety of their comrades, whom they left on the Naomi. It seems from their story that the Moran sprung a leak from a hole in her bow, while bucking ice, fifteen miles off Muskegon, late Thursday night. Every effort was made to save the doomed steamer, but all efforts were fruitless. Tons of freight were thrown overboard by to no avail. The boat was sinking ad distress whistles were blown. Luckily the whistle was heard by the Naomi, five miles away in the ice, and that boat was shortly after made out coming up to the assistance of her sister ships. John Kamhout, of this city, and the clerk, Mr. Halstead, met the Naomi and apprised her crew of their sad straits. Shortly after the Naomi picked up Capt. McLeod and all the crew of the Moran. They are now aboard the Naomi, none the worse for their adventure, but heartily glad that they are safe. For a time it looked very dubious for them, out in the cold, icy lake the Moran was abandoned about one o’clock Friday morning, a hopeless wreck, and with no prospect of being saved. The car ferry was seen going by yesterday afternoon. Capt. John McLeod, of Port Huron, is the captain of the Moran; Robert McKay of this city, first mate; Alfred Green of Muskegon, chief engineer; J Egan, assistant engineer; Al Halstead, Milwaukee, purser; John Kamhout of this city and also Will Turner were among her crew. Ed Miller of Spring Lake was another member. So it can be seen that great interest was taken in their welfare and for the time being they will be object of much attention. The Naomi at 3 o’clock was still in ice a few miles from port. But the suspense is raised and anxiety is quelled. The Naomi tried for fully three hours to tow the Moran and made about three miles. The ice was too heavy however and the effort had to be abandoned. Before leaving the Moran, the latter was stripped and all articles of value and bed clothing saved. It was cold, but the crew were warmly dressed and the Naomi stood by them nobly. 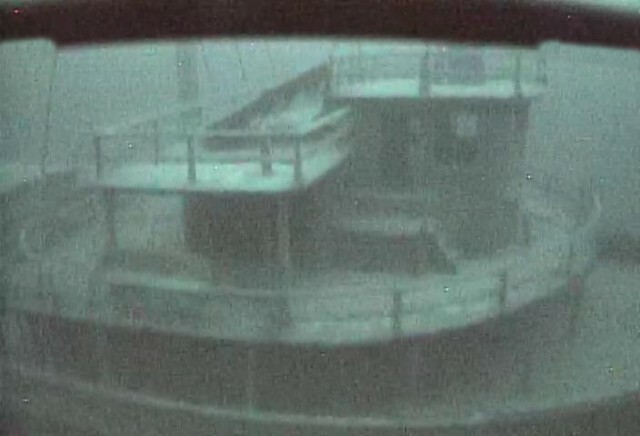 It is possible that the hull of the Moran is still floating and there is talk of sending the car ferry out of Muskegon to hunt her up and if possible tow her into port. 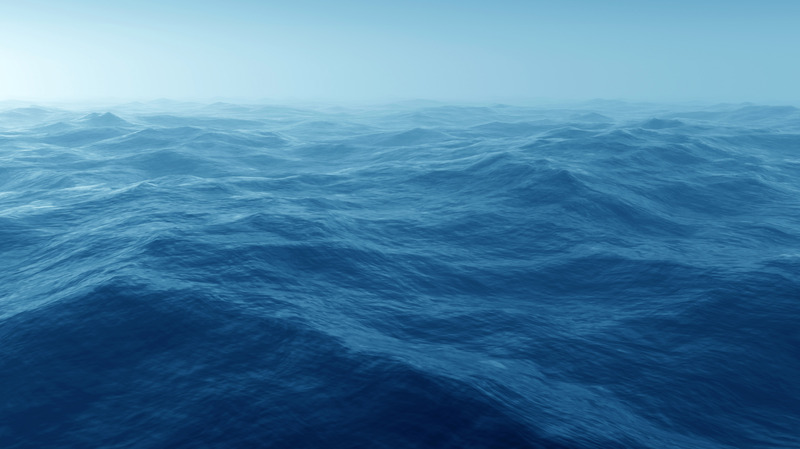 This is only a possibility however and the crew believes she has sunk. Milwaukee, Wis., Feb. 11. 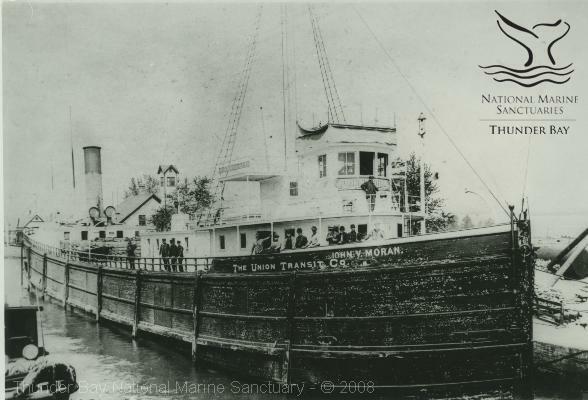 — [Special] — During the forenoon today President Crosby of the Crosby Transportation company received a telegram from O. M. Field, dated Muskegon, which announced the sinking off Grand Haven of the steamer J. V. Moran, and the safety of her crew. No details were vouch-safed and the whereabouts and cause of the sinking consequently became matters of conjecture for the time being. The J. V. Moran left this port for Grand Haven at noon on Thursday with 1220 tons of package freight. The cargo included 9550 barrels of flour, 126 tons of feed, 57 tons of peas, 39 tons of oil-cake and 43 tons of miscellaneous freight. The value of the cargo, which may be regarded as a total loss, was between $36,000 and $40,000. Grand Haven, Mich., Feb. 11. — Three members of the abandoned steamer John V. Moran walked ashore over the ice this afternoon. They report the remainder of the crew safe on the steamer Naomi, which is fast in the ice. The Moran was abandoned Friday morning.